How the feck do Skerries concede a Towns cup 1/4 Final? What's going on? I know for a fact that all youth teams must look for approval to tour during the season. Did Skerries do this? Was the tour approved. If not then they should face really serious sanctions. After sticking up for Arklow earlier I have heard a rumour that there will be no Senior team next season. Can only hope that their youth structure can provide some players in the future. 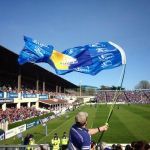 Whats the story with the relegation/promotion issue from AIL 4 to Leinster 1 and from Leinster 1 down to 2.
leinster4life13 wrote: Whats the story with the relegation/promotion issue from AIL 2B to Leinster 1 and from Leinster 1 down to 2.
with arklow and ratoath dropping out..